I am surprised that all of the Cathedrals albums (especially “High and Lifted Up”) have been eliminated. 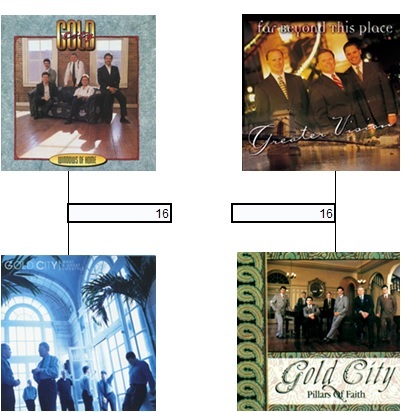 That being said, I am glad that Gold City’s “What A Great Lifestyle” made the final four because it is probably my favorite (non-live) Gold City album. I think I actually prefer it just a little more than “Pillars Of Faith”. Windows Of Home—that’s when we first started hearing a less nasal Brian Free. I was a bigger fan of Renewed and Standing in the Gap.